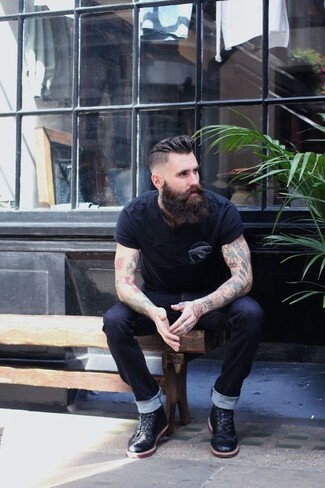 If you're on a mission for a casual yet dapper ensemble, go for a black crew-neck t-shirt and navy jeans. Both items are totally comfortable and will look great paired together. Channel your inner Ryan Gosling and go for a pair of Zespà zespa winter lace up boots to class up your outfit. 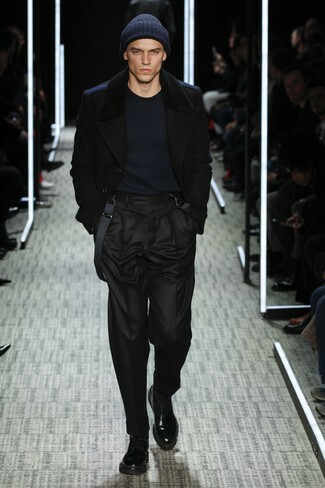 Try teaming a black pea coat with black dress pants for incredibly stylish attire. 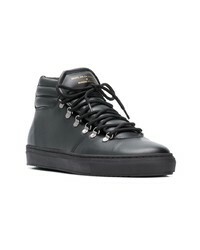 Zespà zespa winter lace up boots from farfetch.com will deliver a casual vibe to your look. If you like a more relaxed approach to fashion, why not wear a black leather bomber jacket with grey skinny jeans? Channel your inner Ryan Gosling and make Zespà zespa winter lace up boots your footwear choice to class up your outfit. 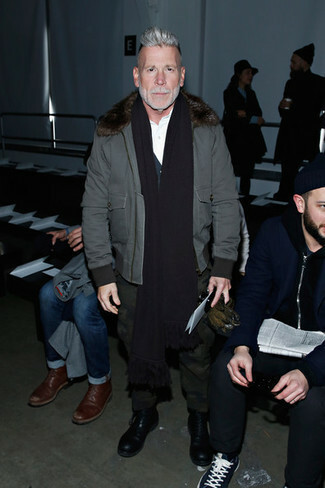 If you're hunting for a casual yet stylish getup, try pairing a grey bomber jacket with dark green camouflage chinos. Both garments are totally comfortable and will look great together. Kick up the cool of your look by completing it with Zespà zespa winter lace up boots. 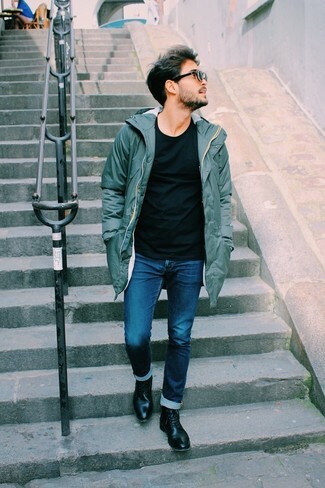 If you're a fan of relaxed dressing when it comes to fashion, you'll love this simple combination of an olive parka and navy jeans. You could perhaps get a little creative when it comes to footwear and lift up your ensemble with black leather casual boots. 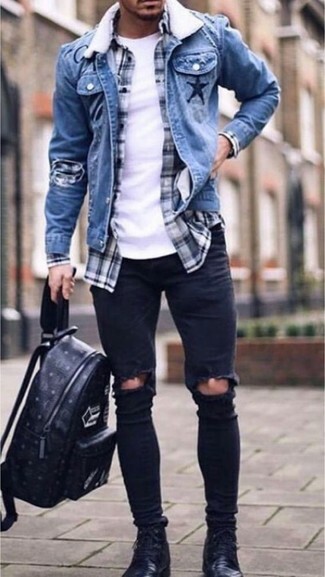 If you're a fan of practicality dressing when it comes to your personal style, you'll love this on-trend pairing of a blue denim jacket and black ripped skinny jeans. Channel your inner Ryan Gosling and opt for a pair of black leather casual boots to class up your outfit. 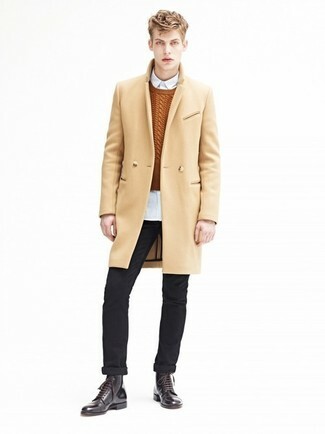 For a casually elegant ensemble, pair a camel overcoat with navy jeans — these pieces play perfectly together. 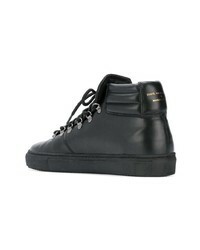 When it comes to footwear, this look pairs wonderfully with Zespà zespa winter lace up boots from farfetch.com. If you're all about comfort dressing when it comes to your personal style, you'll love this easy pairing of a blue hoodie and charcoal sweatpants. To add more class to your getup, complete with Zespà zespa winter lace up boots from farfetch.com. Pair a grey print crew-neck sweater with grey dress pants like a true gent. 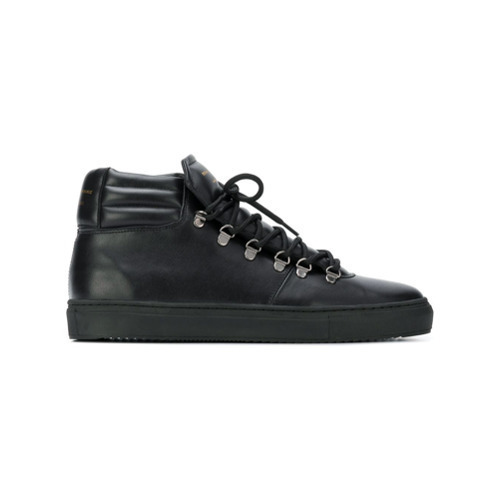 Rock a pair of Zespà zespa winter lace up boots from farfetch.com for a more relaxed feel.